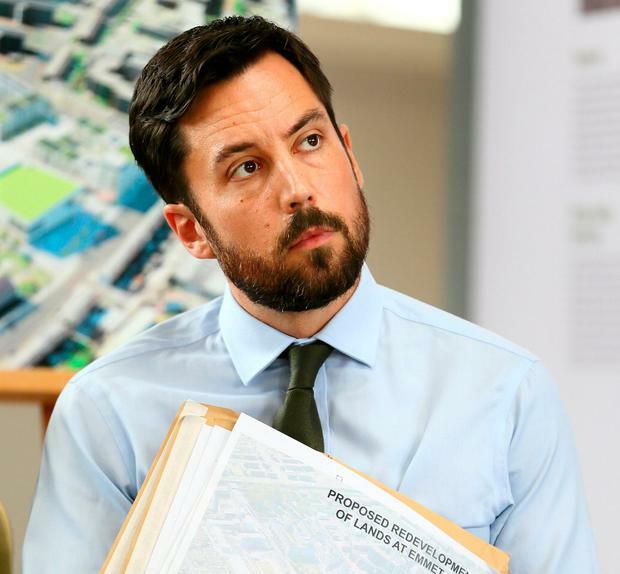 Housing Minister Eoghan Murphy is facing increasing calls to review rent pressure zones amid accusations they are not fit for purpose and are failing to protect tenants from rent hikes. The zones - first introduced in 2016 - mean that a landlord cannot raise rents by more than 4pc annually. However, there are some exemptions to the rules and housing charities have warned that these exemptions are being used by some landlords to circumvent the law. Threshold, which works with at-risk tenants, told the Irish Independent that even in rent pressure zones, hikes in rent are being forced on tenants that are multiples of the 4pc. Fianna Fáil spokesperson on housing Darragh O'Brien is calling for a review of the legislation, adding that "it's just not working". Rent hikes are forcing working families into homelessness and the law needs to be tightened and enforcement strengthened, he said. The party - which is propping up Leo Varadkar's Government with the confidence and supply agreement - is agitating for a number of housing measures including tax breaks for landlords who provide longer leases. It is understood a rent relief for tenants is also being considered. However, a spokesman for Mr Murphy defended the zones initiative and said that figures from the first three months of the year showed that they were "beginning to have a positive effect on rent inflation ... rent levels seem to be moderating". A review of the legislation governing the zones was carried out by officials previously and a number of measures were introduced to tackle problems. "These include the intention to make it an offence to increase rents in contravention of the legislation, providing the Residential Tenancies Board (RTB) with the powers to investigate and prosecute such cases and more closely defining the basis on which exemptions to the limits on rent increases can be claimed," a spokesman said. The move to give the RTB teeth has been cautiously welcomed by those in the housing sector but concerns have been raised that it isn't adequately resourced to enforce the legislation.